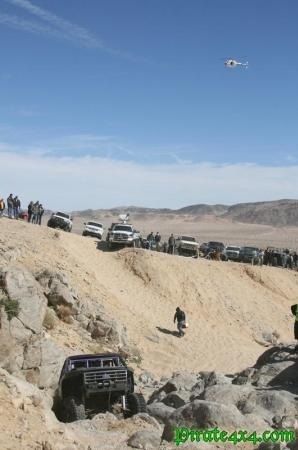 Extreme Motorsports Spectator Guide * How to safely watch a rally or offroad race. Motorsports are dangerous. Please keep this in mind when spectating at our events. 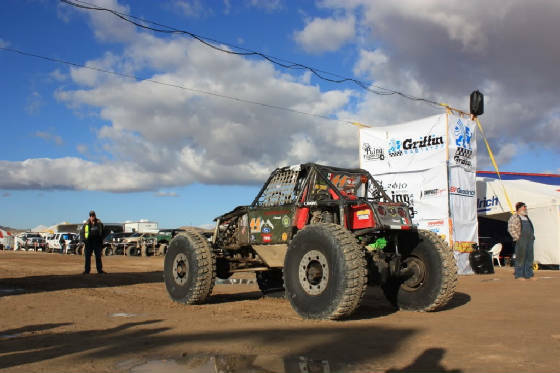 Marshals are there for your safety, as well as the safety of the competitors, please listen to and obey what they have to say. Be courteous in all your dealings with everyone, event officials and other spectators alike. 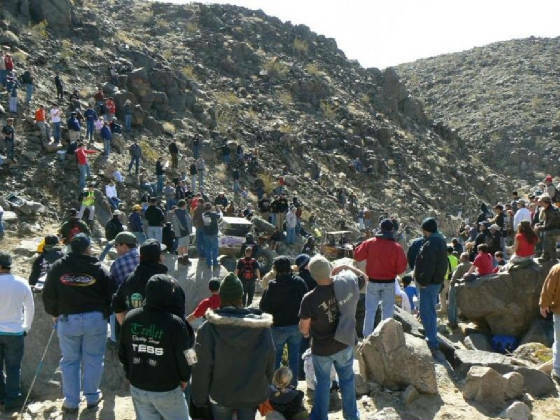 Stages often become delayed due to spectator parking, please use your discretion when parking your cars and do your part to help the organizers keep the event on time. IF there is an accident of any type on the stage, please do not venture out onto the stage. The cars are running on one minute intervals and it is very important that the marshals be allowed to do their work, without having to worry about crowd control at the same time. Motorsport can be dangerous and despite us taking all reasonable precautions, unavoidable accidents can happen. Spectators should be fully aware and recognise that motor sport is inherently dangerous. 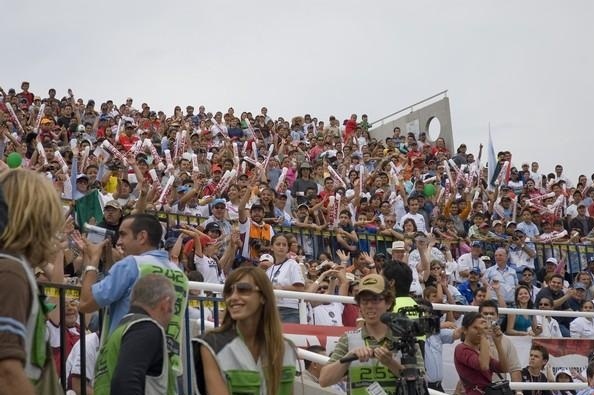 Entry into and remaining at the Rally has a degree of danger and there is a possibility of an accident causing injury, death, property damage or other losses; and it is a condition of entry that the spectator attend the Rally, and use the services and facilities of the Rally entirely at their own risk. Consider your own safety and that of others at all times. 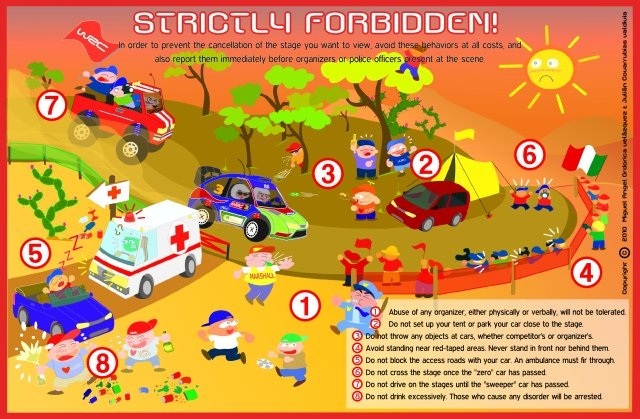 Obey all instructions of safety marshals, spectator marshals and police officers in relation to your safety and that of others, otherwise the Stage could be stopped. They are there to ensure the event runs within the safety guidelines prescribed by the staff. Marshals and officials have the right to work without being abused or threatened. Abusive, threatening or violent behaviour towards officials will not be tolerated and spectators will be evicted from the event. Do not interfere with the organisers, cooperate with them. 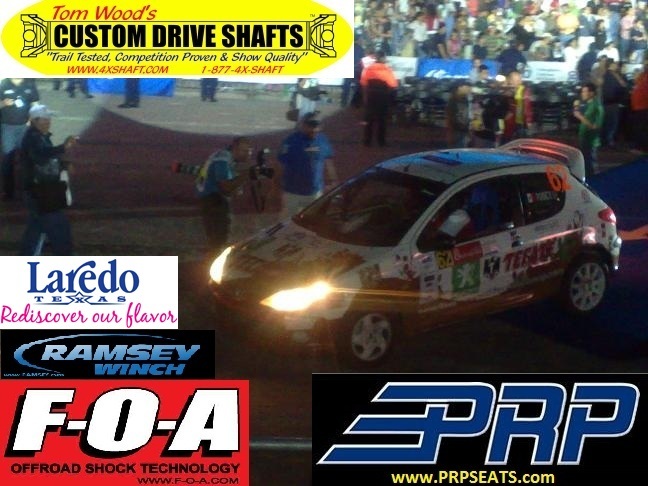 Their primary concern is providing a safe motorsport event for all. 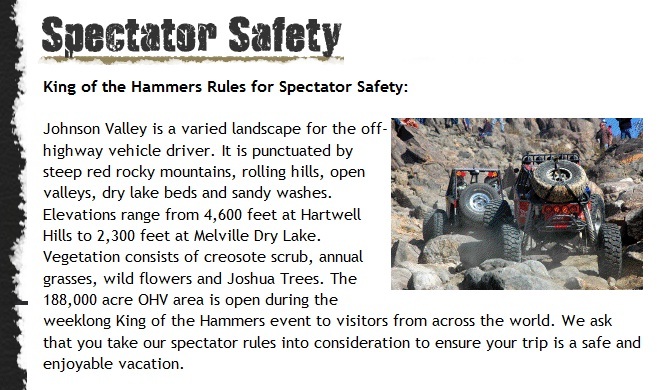 Be on alert for rally cars while driving to Spectator Areas. When parking, make certain that you leave room for rally cars and emergency vehicles to pass unimpeded. Allow plenty of time to reach your selected viewing point. 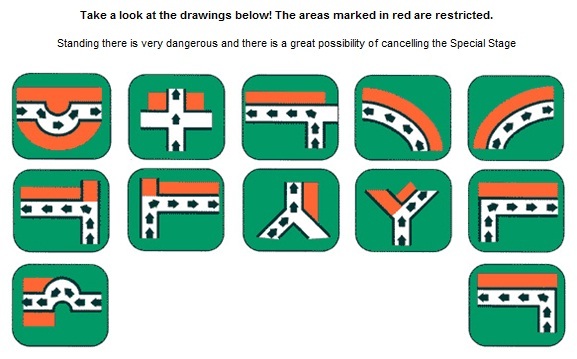 Do NOT walk along or across the rally route. Please ensure you walk behind the tree line or on the pathways created. Do NOT approach dangerous areas. Always stay behind the safety tape or barriers. Keep a safe distance from the road and follow the cars carefully. Better and safer viewing is often found from a higher vantage point. Never stand below the level of the road. Do NOT stand in areas with no means of escape in case of emergency. 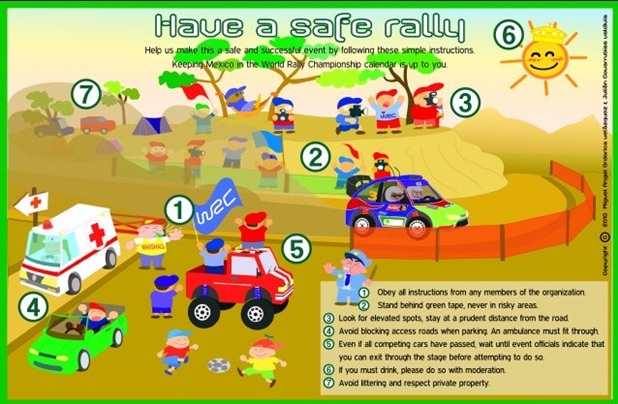 Be aware of the rally cars' speed and behave responsibly. Listen for approaching race vehicles. 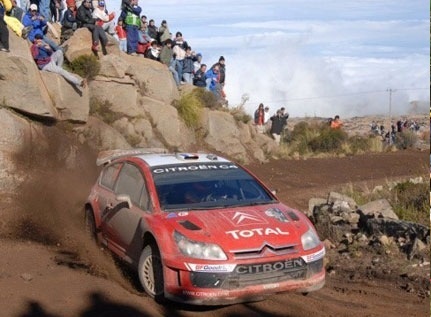 Pay constant attention as time intervals between rally cars varies. DO NOT TRY TO HELP AS A RECOVERY TEAM. Do not abuse alcohol. 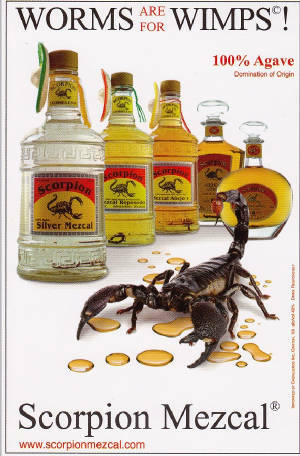 Do not allow glass containers. DO NOT OBSTRUCT THE FREE FLOW OF TRAFFIC WHEN PARKING. Children and infants should ALWAYS be accompanied by adults who remain responsible for their behaviour. Leave your dog at home (if you do bring your dog, please put it on a leash). Much of the Rally takes place in areas containing significant agricultural, forestry and nature conservation interests. 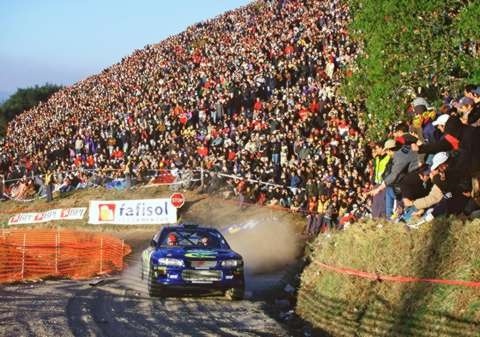 A good rally fan looks after nature and does not litter the countryside. Do not light fires or BBQs in prohibited areas. 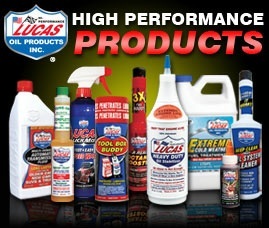 They can cause major fires with serious consequences. Remain in your viewing area until the stage is finished. Do not leave until the Sweep vehicle has passed. 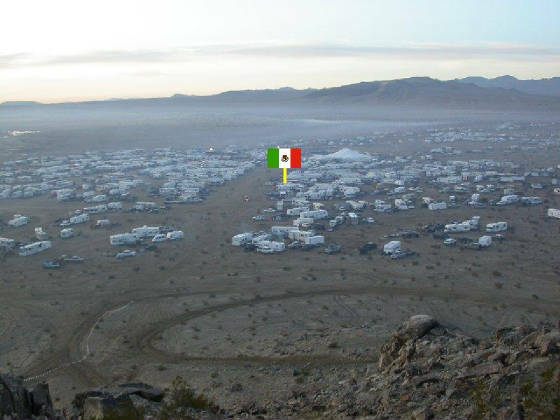 Stages will remain closed until the Closing Marshal has passed. The stage may be closed at the discretion of the Marshals. Never drive on the race course. Under no circumstances should you position yourself on the outside of a turn, or any other potentially dangerous spot. STAND AT LEAST 10 FT FROM THE RACE COURSE. In short, be wise, enthusiastic, civic and intelligent. Also remember not to leave trash and garbage after the event, place them in the designated location or take them with you and deposit them in the trash, Thanks for your support and enthusiasm. We hope these recommendations will help you enjoy this spectacular event. ° PLEASE PARK AT DESIGNATED AREAS. COME EARLY AND CHOSE A SPOT WHERE YOU CAN SEE THE COMPETITION WITHOUT MOVING TOO MUCH. THERE IS ALWAYS FOOD AND BEVERAGE STANDS LOCATED ALL OVER THE EVENT. NO GLASS IS ALLOWED IN STATE PARKS. WHAT YOU SHOULD BRING ° Warm Clothing. Hats and sun protection. Umbrella and shades. Folding chairs or blankets. WARNING MOTORSPORTS CAN BE DANGEROUS! DESPITE THE ORGANIZERS TAKING ALL REASONABLE PRECUATIONS, UNAVOIDABLE ACCIDENTS CAN HAPPEN. IN RESPECT OF THIS YOU ARE PRESENT AT YOUR OWN RISK.